I wonder what will surprise me? I wonder what will make me smile – laugh even? I wonder who I will meet, who I will encourage, who will encourage me? Will there be new challenges to face with the children, how will they grow, who and what will inspire them this year? We have had a lovely couple of days with some of our family, the kids have been playing; good food has been eaten; silly games old and new enjoyed. Today after the late night last night everyone has been tired but ‘relaxed’ (quite a bit of the day anyway) and now the upstairs is getting gradually quieter (spoke too soon, we have just had one tip toe down the stairs and a tired anxious face round the door! ), the fire is dying down and we are chatting, tweeting, checking messages and reflecting together. I actually really love these days just following all the bustle and party poppers, they are the ‘pause’ before getting up and setting off again. I was talking with a friend over coffee recently about snow, particularly those patches of clean fresh snow that haven’t been trodden on yet. Most kids know just what to do don’t they, we wrap them up warm and they’re off – running, delighting in the possibilities, the space, the patterns of their footprints behind them. We were also recognising that sometimes we find ourselves standing looking out on a completely blank, unknown landscape yet to be ventured out into, and it’s fear that quickly threatens to overwhelm us rather than excitement. Maybe there is fear of spoiling it, failing it with our footprints, or of perhaps of losing our sense of direction and belonging in it’s expanse. The unknown throws uncertainty in our way; will I know how to cope with what comes my way?, what if it’s not solid ground underneath?, what’s at the other side or round the corner, will it be for good or for bad? My friend commented to me it is as if God has us at a crossroads in those moments, the necessity of moving forwards is a given, but how we embark on it depends largely on us. To run with excitement and anticipation, knowing we are provided for, watched over by Him, assured of His loving faithfulness; or to be fearful, unsure of our own ability and strength to manage whatever may face us with each new unknown step. It’s a challenging picture for me – so instinctively biased towards the fearful, ‘I’m not good enough’ approach in life! Especially challenging as a Mum, when so often loving my kids to bits seems to be worked out in practice as worrying about the many ‘what ifs’ that could be round the next bend!! Written by Simon Guillebaud as he prepares to return to Burundi with his family next week. Making the decision to begin ‘clearly nurturing’ at the end of last summer was a crossroads moment and it began much more within me than I could have anticipated. I have been surprised by how much I have grown to love finding little spaces to sit and write, I have been so very encouraged by all of your comments here, on Facebook and via Twitter. It has been great to reflect on some of the everyday amazing moments of sharing faith with my kids, I think (trying to be optimistic!) the process may even strengthen my skills in joy-spotting! So a HUGE THANK YOU for being part of that! I’m excited (yes honestly) about ‘clearly nurturing’ – the blogs during this next year, and also how it may develop. 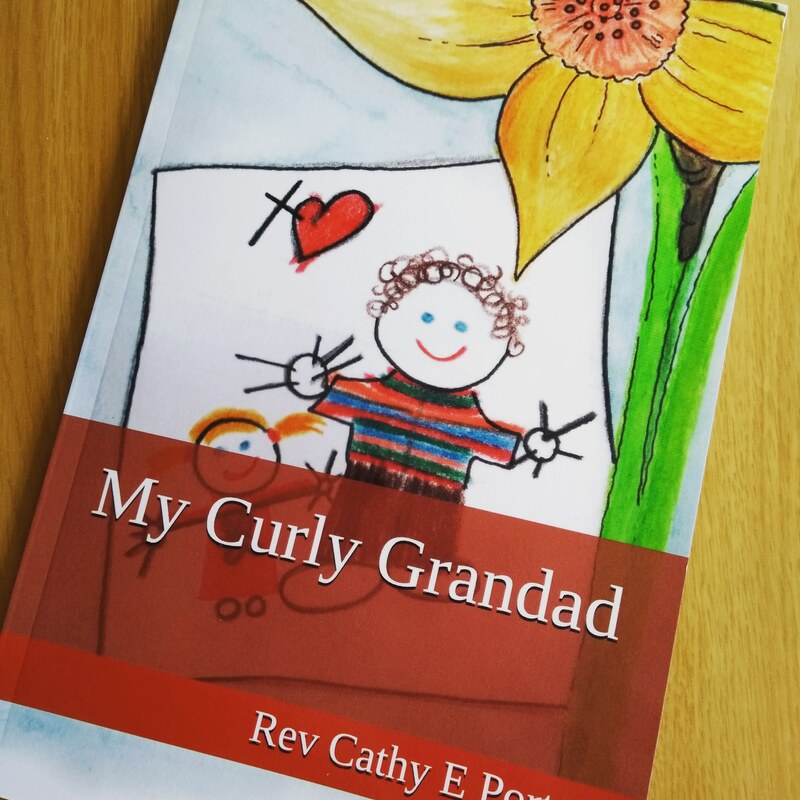 Alongside this blog I have been busily working on some books for parents like me to enjoy with their little ones, books that I hope will be good tools as we share our faith with them & grow in faith together. I’ll hopefully be able to let you know more soon! Moving forward and making life changing decisions is hard for old ladies like me! LOL!! But that is exactly what I’m being asked to do. Your words are very timely for me and your father’s words are very true! Thanks for sharing at Faith, Hope, and Love! I hope you’ll share again! Thanks for reading & thanks for writing Faith, Hope & Love, good to have found it! Yes aren’t Simon’s words powerfully courageous – an inspiring Christian speaker I have heard a number of times, he never fails to challenge & say it how it is. He & his family are based in Burundi. Your words are so encouraging. It has prompted me to book on a quiet day I have been mulling over about negotiating transitions. As my three are gradually moving out of education into the next stage it seems appropriate to pause and reflect and then to grasp the next challenge. This must seem a long way off for you but it comes around so quickly so enjoy every day. I hope your retreat day is really special. Yes it all goes far too quickly, agreed! ← phew it’s a pj day!